Today was a day of celebrating. It’s two months exactly since my open heart surgery. 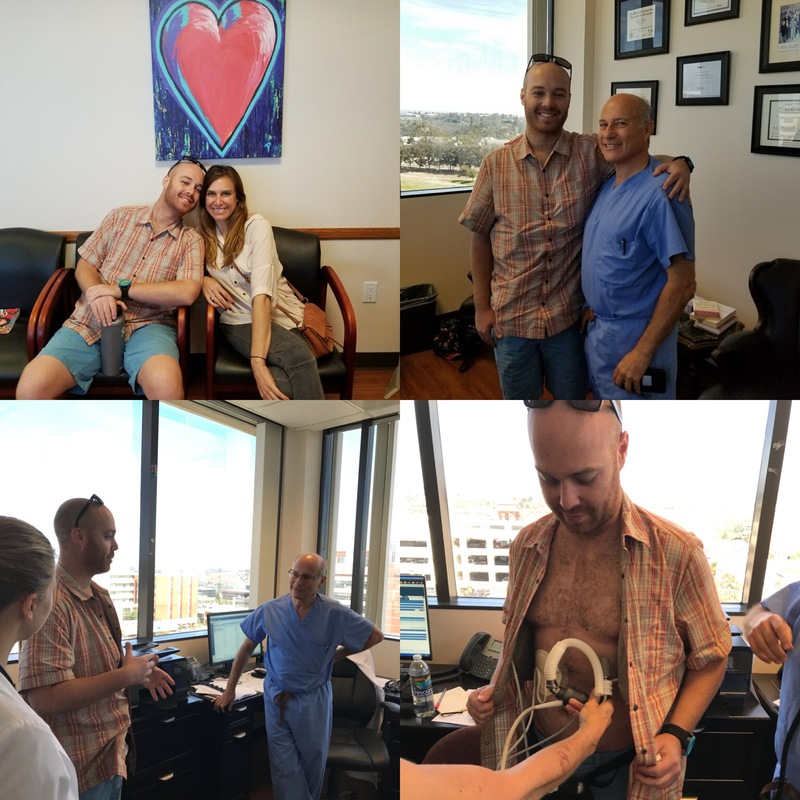 To celebrate, I had lunch with Jennifer (LVAD – Left Ventricle Assist Device – Coordinator), Dr. Heywood(Heart Failure physician), Amy and Dr. Rapaport, the on-call cardiologist who saved my life the night I had the heart attack. I hardly remember meeting him the first night in ICU. He was telling us how by him immediately putting me on Heparin (blood thinner), it significantly reduced my chances of having a stroke that night of the heart attack. He was beyond happy to see where I am in my recovery. According to him he doesn’t often see many situations as dim as mine was and the condition I currently am as I was sitting in front of him. I felt so good to be able to thank him and give him the credit he thoroughly deserves. It was absolutely amazing to be sitting around eating lunch with Missy, my dad and these amazing people who have been crucial to my survival during all of this. It was the best Luna Grill lunch I’ve ever had. On July 27, 2017, I experienced a heart attack and a week later I underwent open heart surgery (to install an LVAD heart pump). According to my doctors this was likely caused by the two and half years of chemotherapy I experienced when I was being treated for leukemia at eighteen. Ever since finishing my last treatment of cancer, I’ve always been extremely positive and passionate about living and sharing my story to inspire others overcome their own adversities. In fact in 2012, I rode 3,168 miles across the United States via road bike to celebrate my six years cancer free. Now with my story changing a bit, I have decided to dedicate my life to living the healthiest life I can and inspire as many people that I can possibly reach. Even only eight weeks out from the surgery, I can confidently say I am living my best life I have, I am thriving.